We’re hearing a lot lately about solving our nation’s fiscal problems by ‘taxing the rich.’ It sounds good, but the facts just don’t agree with the talking points. Breitbart.com posted an article yesterday that crunched some of the numbers involved. This is not about fiscal responsibility. This is called class warfare, and unfortunately, a lot of Americans have bought into the idea that punishing success is better than formulating policies that will help more people achieve success. There is one important thing to remember as we approach the fiscal cliff. The Republicans control only one-half of one branch of government. Whatever happens, if it is not successful, the media will blame the Republicans. The Republicans might as well stick to their guns about not raising taxes and at least get blamed for something they did right. The idea of raising taxes now and dealing with spending cuts later is laughable. The Democrats have made that promise before, and the spending cuts never happened. The problem is on both sides of the aisle–bigger government means more power concentrated in Washington. Congressmen like power. Until we elect people who put the welfare of the country before their own personal ambitions, nothing will change. Susan Estrich is one of my favorite liberals. Although I probably disagree with her on most things, there are times when she hits the nail on the head squarely. Her recent article at Creators.com was one of those times. I am all for closing loopholes. I am all for ending deductions for things I don’t even understand. But I am not for putting a low cap on deductions that would make it all but impossible for the charities I support to raise funds. I am not for putting a limit on the mortgage deduction that would mean, as a practical matter, that “middle class” (not rich) people in California would be priced out of the housing market, and the charities I support would not be able to raise what they need to survive. That makes total sense. Ms. Estrich, would you please run for office. So why all the fuss? Because people who are not paying attention might believe that taxing the rich would actually accomplish something! Actually, raising taxes on the rich will slow down the economy and make it harder for the rest of us to make ends meet. 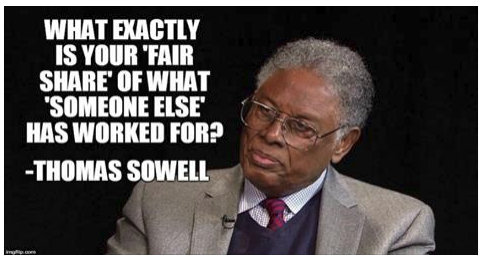 The taxes on the highest incomes are never enough for any of their schemes. The Dems’ proposal is a fraud, which the MSM helps to perpetrate by never estimating the revenues from upper income tax increases. Politico reports that the cost of the Democrats’ payroll tax reduction is $265 billion. Will that really be paid for by a 3.25 percent surtax on adjusted gross incomes over $1 million? 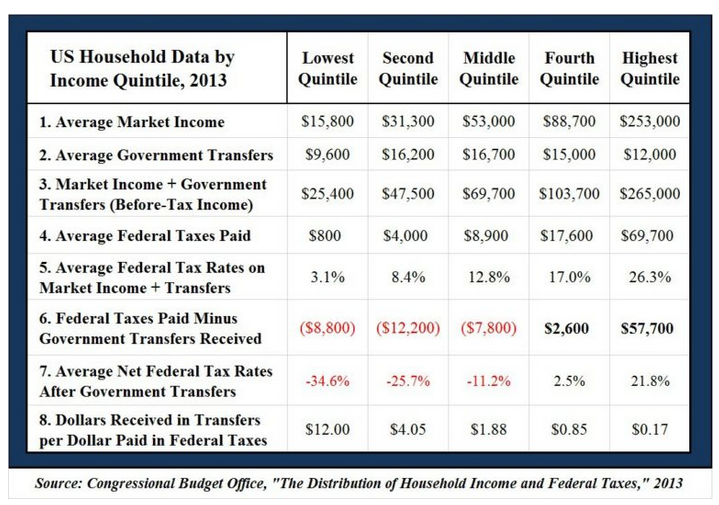 According to the Tax Policy Center at the Urban Institute/Brookings Institute, approximately 388,000 households have income above $1 million in any given year; the average income of such households is about $2.7 million. The surtax would be levied on the increment above $1 million. So the arithmetic is simple on a static analysis: 388,000 * $1.7 million * 3.25% = $21.437 billion. So the “millionaires and billionaires” surtax doesn’t come even remotely close to the reduction in payroll tax. It’s a complete fraud–gratuitous class warfare for revenues that, in the overall scheme of things, are trivial. The problem with the budget is not the lack of tax revenue–it is the increase in spending. The Obama administration has increased government spending to approximately 24 percent of the gross domestic product (GDP). It had previously been between 18 and 20 percent. The average tax revenue collected by the government in a year is about 18 percent of the GDP. Therein lies the problem. Even when taxes on the rich are increased, the amount collected hovers around 18 percent because the ‘rich’ have accountants that help them pay as little taxes as possible. When you tax the rich you only wind up taxing the middle class more and moving closer to the elimination of the middle class. That is not a good idea.